“NFC offers advertisers greater opportunities to build ‘hyper-local’ promotional campaigns using media-rich, high quality content through a simple tap of the phone,” says the digital agency behind the project. 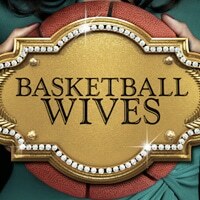 Marketing for the new series of TV network VH1‘s Basketball Wives includes a series of smart posters equipped with NFC tags placed in a number of locations around New York and Los Angeles. The campaign provides NFC phone users with an exclusive trailer for the new series and a link to the Basketball Wives’ Facebook page when they tap their devices on poster sites situated on bus shelters around the two cities. The NFC campaign has been developed by UK-based Proxama — which delivered a similar campaign in London for the launch of X-Men First Class — in partnership with Nokia, CBS Outdoor, JCDecaux, Cemusa and Hyperspace, the digital and innovations division of out-of-home agency Posterscope. NFC smart posters on a bus shelters in Los Angeles. Why do you say that, @roflmao? 1. Nobody walks in L.A.
2. You need to be within 10cm of smart poster with your NFC enabled device. 3. The only people with NFC phones in L.A. are driving past this smart poster in their Beemers, at least 10 meters away from it, driving by at 50kph. * A NFC enabled phone must have to open an propiertary app that knows how to decipher code 123456789 to know the next step. * The propiertary app either display an interactive presentation, stream a media file or display additional information such as a coupon. The issue here is that propiertary app that sticks out to me. Do mobile users have to keep downloading a seperate NFC decoder/presentation viewer for each seperate entity each and every time?